The photo wall. This is the perfect place for almost any wall quote. 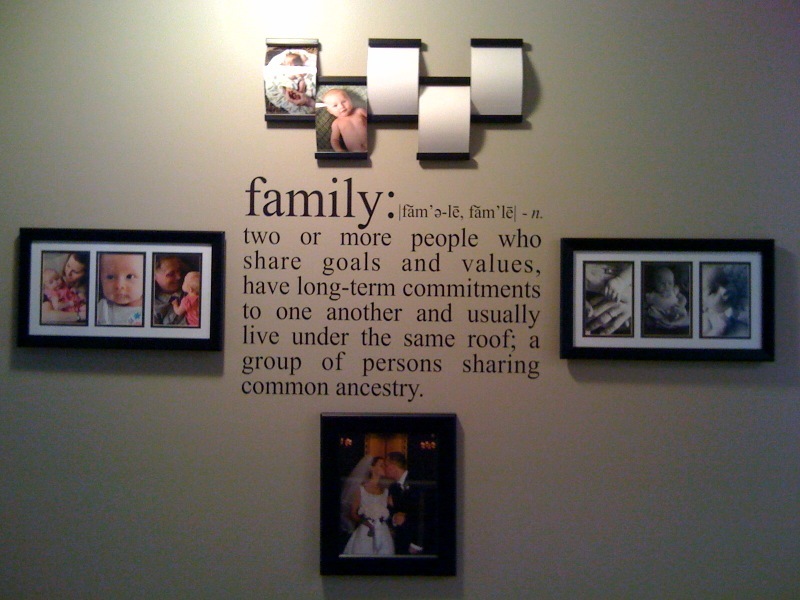 The Jenkins chose a wonderful wall saying design - the very definition of family. And they have a great start to what will be an amazing wall of family photo adventures. Congrats, folks; the monthly prize of a $50.00 gift certificate is all yours!